What’s new in education and training? Member States committed to "peer learning and the exchange of good practice, including the dissemination of outcomes" when they adopted the new Strategic Framework for European Cooperation in Education and Training (ET 2020) in 2009. This newsletter, which will appear three times a year, aims to give a succinct overview of these outcomes. ET 2020 Working Groups are one of the main working methods and governance structures of the Open Method of Coordination (OMC) in the field of education (ET 2020). They have a clear mandate to deliver outputs directly linked to the objectives of ET 2020. They work towards concrete outcomes on the basis of mutual learning between Member States, candidate and EFTA countries, European social partners and stakeholder associations. The Communication on Supporting the prevention of radicalisation leading to violent extremism (14 June 2016) is fully in line with the second priority of ET 2020 on "Inclusive education, equality, equity, non-discrimination and the promotion of civic competences", and follows directly upon the objectives of the Declaration on promoting citizenship and the common values of freedom, tolerance and non-discrimination through education adopted in Paris in March 2015. It includes a proposal for a Council Recommendation on promoting common EU values and social inclusion through formal and non-formal learning. The Working Group on Citizenship will be instrumental in helping deliver on the actions of the Communication. On 7 June 2016 the Commission adopted an Action Plan on the integration of third country nationals. The plan proposes incentives and support for Member States in their efforts to promote integration policies. Education, as well as active participation in society through culture, youth and sports are key pillars of the Action Plan which includes initiatives such as: online language assessment and learning for newly arrived migrants; promoting inclusive education; promoting the upgrading of skills of third country nationals; promoting the removal of barriers for the participation of migrant children in early childhood education. Ad hoc peer learning activities have already been organised on some of these topics. Finally, the 2016 edition of the Education and Training Monitor was published on 7 November! It is the go-to publication for education and training policymakers across the EU, consisting of the EU-wide analysis of trends in education and training and 28 country reports. The Monitor charts progress and analyses policy developments contributing to Europe 2020 targets and the Education and Training 2020 benchmarks. Watch the recording of the launch event on the Monitor webpage and keep checking your EU representation website, to see if the Monitor will be presented in your country. To explore and download data from the Monitor, make use of Interactive maps, clickable data sources in the publication, the key indicators database (coming soon) and examples of good policy practices (coming soon). "Vocational Education and Training - skills for a lifetime", Amsterdam, 16-17 February. The Slovak Republic has organised a conference on "The fostering and development of talent", 12-13 September. Resolution on promoting socio-economic development and inclusiveness in the EU through education: the contribution of education and training to the European Semester 2016, 24 February 2016. Resolution on a New Skills Agenda for an Inclusive and Competitive Europe. The November Council also reached political agreement on a recommendation establishing "Upskilling Pathways: New Opportunities for Adults" (formerly the "Skills Guarantee"). The meeting was focused on policy issues linked to the New Skills Agenda. It included a half day visit to a Regional VET College providing education and training for the creative sector, setting the example for successful partnerships in providing innovative courses, with high quality work-based learning and development of new curricula adapted to the economic context of the region. The meeting relied on the outcomes of the PLA on "Developing future skills in higher education" (Brussels, 25-26 February 2016) and reflected on the skills higher education students need to acquire to live and work in a rapidly changing world. There was a general agreement that students need to develop a "T-shaped" skills profile, which comprises both an in-depth understanding of a particular field or fields (the stem of the T) and a set of transversal skills, including critical thinking, creativity and communication applicable across a wide range of fields. Many challenges and good practices were shared as to how higher education curricula should be designed in order to develop these transversal skills. The meeting also served as an opportunity to collect input on the EU's ongoing revision of the 2011 Modernisation Agenda, the results of which fed directly into the Commission Staff Working Document accompanying the New Skills Agenda for Europe. The meeting provided an opportunity to present the new cycle under the Strategic Framework for cooperation in education and training (ET 2020), including EU cooperation to support a more inclusive society (follow up to the Paris Declaration) and the New Skills Agenda for Europe, and reflected on synergies and using the full potential of the Working Group on Schools. The focus of the workshops was on excellence in education and policy actions to improve quality and equity. The meeting served as the first opportunity to shed the light on the forthcoming Skills Agenda that was adopted after the meeting on 10 June. On the occasion of the 10 year anniversary of the Key Competences Recommendation, three break-out sessions were held to kick-off the reflection on its forthcoming revision, focusing on transversal skills, the operational nature of the Key Competences Recommendation and the link with the Skills Guarantee. A dedicated discussion on digital competences, critical thinking as well as social and civic competences was also held. The meeting also served as an occasion to present the plans of the Slovak and Maltese Presidencies of the EU. The meeting focused on the contribution of higher education institutions to regional development and innovation and the potential of EU support for this, as well as on presentation and discussion of the Commission's planned initiative on graduate tracking. The meeting confirmed strong support from Member State authorities for continued or strengthened EU cooperation and funding to support the regional engagement of higher education institutions and for the inclusion of this theme as a priority in the renewed modernisation agenda. The meeting was focused on policy issues linked to apprenticeships for young and adults. It included a half day visit to a company that in cooperation with a school introduced dual education, and four peer review sessions dedicated to regulatory framework for apprenticeships, getting employers on board, expanding apprenticeships to adults and apprenticeships in higher VET. Continuity and transitions in learner development. Since the launch of the Working Group three meetings have been held with a focused discussion on quality assurance and continuity in learner development. The first Peer Learning Activity (PLA) of the Working Group Schools was held in Tallinn, Estonia, from 11 - 14 October 2016. The lead question for this PLA was “How can external and internal mechanisms for quality assurance effectively complement each other in supporting school development?” The aims for participants were to gain a deeper understanding of issues at stake and range of policy responses across Europe, to situate their own country within the spectrum of approaches across Europe, and to learn about effective and/or innovative approaches in other countries. A profiling exercise by the Working Group Schools reveals some areas of convergence between national Quality Assurance systems in Europe, despite their inherent diversity. There is no single 'correct' approach, but there is much to be learned from the solutions that have been adopted elsewhere. Following the second full meeting in May 2016, twenty-nine jurisdictions across the continent contributed to a detailed survey covering: the purpose of quality assurance in schools; the approaches that have been implemented; and perspectives on the challenges faced in achieving coherence, adaptability and sustainability for the systems that are in place. Analysis of the data led to a report summarising the evaluations of the Working Group members which was reviewed at the meeting in September. Along with outcomes from meeting discussions and the PLA, this will form an interim report with key messages on Quality Assurance. The working groups on Vocational education and training (2014-2015 and 2016-2018) have the mandate to benefit the Member States in their work of furthering policy development in the area of vocational education and training through mutual learning and the identification of good practices. The aim is to support effective implementation of national VET reforms which set up or strengthen work-based learning and apprenticeship type schemes. Clear frameworks for the quality assurance of apprenticeships, with fair, valid and authentic assessments of learning outcomes; support for the continuous professional development of in-company trainers; and skills anticipation mechanisms to enable VET to respond to changing economic and social needs. A key factor in achieving high quality work-based learning and apprenticeships are VET teachers in theoretical and practical subjects and skilled workers and positioned trainers who train, instruct and guide young apprentices. Boosting their quality and competences is among the strategic objectives of European cooperation in VET. The ET 2020 Working Group on Vocational Education and Training will work on the topics of governance and partnerships in VET and on competence requirements and professional development of VET teachers and trainers. Based on identified models, approaches and mechanisms, policy guidance, compendia of good practices and reference tools will be developed to support modernisation and reform processes in VET in countries across Europe. The group has met three times to date and has focused its discussions on governance issues. The working group on the Modernisation of Higher Education (2016-2018) holds the mandate to support Member States (and other 'participating countries') in their ongoing work to follow up on the priorities identified in the 2011 Communication on Supporting growth and jobs – an agenda for the modernisation of Europe's higher education systems, and its ongoing revision. Helping student acquire the right knowledge and skills emerged as a priority for higher education in the public consultation on the modernisation agenda for higher education. Between November 2015 and end of February 2016, the Commission received 1500 online contributions and about 50 invited position papers. This input highlighted the importance of higher education as a driver of social and economic progress and identified the challenges and priorities for higher education as well as areas where the EU should act. The results of the consultation fed into the new Skills Agenda with actions such as the graduate tracking initiative which will help make higher education outcomes more relevant to the labour market. The outcomes of the consultation were presented in a Commission Staff Working Document as part of the New Skills Agenda for Europe. The Commission is now preparing its revised framework for modernising Europe's higher education systems, which will be presented in Spring 2017. Future skills or transferable skills should be part of the expected learning outcomes of all higher education students. This was the topic of the first peer learning activity of the Working Group of Modernisation of Higher Education in 2016. It took stock of different measures at policy and institutional level in 11 countries and covered strategies in international mobility and digitalisation. It identified where EU could add value, such as a shared understanding of skills, exchange of good practice in curriculum design and assessment of transferable skills, and support for interdisciplinary and inter-institutional cooperation, and teaching and teachers. The outcomes of the PLA on future skills will be taken forward by the Commission through the Skills Agenda, Higher Education Modernisation Agenda, and key competences framework. They also fed into the Dutch Presidency Conference in spring 2016. Higher education institutions are faced with growing expectations to drive socio-economic development and innovation, not only nationally, but also in their cities and wider regions. The second PLA of the Working Group on the Modernisation of Higher Education in September 2016 took stock of the views and different measures at national and institutional level in 14 countries on the role of higher education in regional development and innovation, and identified areas where the EU could add value, such as: increased peer learning and peer counselling to develop a shared understanding of the role of higher education institutions in regional development and innovation; greater emphasis on regional cross-border cooperation in higher education and research, development and innovation projects to encourage collaborative teaching and research cooperation HEIs and local businesses; consolidation and improving EU-level policies in structural funds (ESIF, H2020 and Erasmus+). The outcomes of the PLA were further discussed at the meeting of the Directors General for Higher Education in Bratislava in October 2016, and will inform the ongoing revision of the EU's Modernisation Agenda. Integration is a precondition for an inclusive, cohesive and prosperous society. Key tools in education are language and cultural learning, recognition of prior learning, job-orientation and skills development. The Commission and the Working Group on Higher Education support higher education systems and institutions in this integration process. It has been a topic of the peer learning activities of the WG HE since October 2015 and will remain a focus of the renewed Modernisation Agenda. In addition to funding support under Erasmus+, online linguistic support and forthcoming actions to support the recognition of qualifications held by refugees, the Commission encourages Member States and higher education institutions to share good practices in this area. More details can be found on the Commission’s education policy website. Few countries currently meet the EU 2020 benchmark of 15% adult learning participation, to be achieved by 2020. Source: Labour Force Survey 2015. More than 80% of adults who participate in learning take part in job-related training. Job requirements or skill needs in the labour market are one of the main motivators for adults to engage in learning. That explains why the Working Group focuses on workplace learning. The work of the group is set against the background of the New Skills Agenda for Europe and its Proposal for a Council Recommendation on establishing a Skills Guarantee. The Skills Guarantee should help low-qualified adults acquire a minimum level of literacy, numeracy and digital skills and/or progress towards an upper secondary qualification or equivalent (EQF level 4). Information is relatively scarce about Member States' policies and provision to promote learning in the workplace. From European statistics we know how many adults participate in workplace learning. However information is lacking regarding quality, target groups, providers, programmes, aims, objectives, outputs and outcomes. For that reason the current Working Group started by looking into the issue of how the workplace can function as a place for learning and/or reaching out to adults to get them re-engaged in learning. As adult workplace learning covers a wide range of policies in the Member States, the group members are currently conducting a mapping exercise. This exercise aims to map all policies in vocational education and training, human resource development, basic skills programmes etc. that relate to adult learning in the workplace. Furthermore, the Working Group is engaged in identifying interesting policies and programmes. The mapping exercise will provide a basis for better informed peer learning discussions on adult learning in the workplace. Already, the working group has identified a number of inter-related themes on which peer learning could focus. These include: workplace learning in a lifelong learning strategy; basic skills (or in general ‘key competences') in the workplace (both of employed and unemployed people); Public Employment Services (PES) and upskilling job seekers; validation of learning outcomes in workplace learning; workplace learning and economic growth; employers; activation of older workers; SMEs as learning workplace. 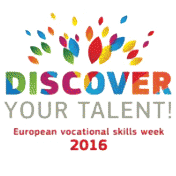 The next meeting of the group in planned for December during the 1st European Vocational Skills Week. The Week aims to strengthen the image and attractiveness of vocational education and training, by showcasing excellence and quality, and raising awareness of the wide range of opportunities it offers for both initial qualifications as well as the continuing upskilling and reskilling of adults. How can education and training address the growing need for digital skills? How can learners and teachers benefit from ICT developments? How can ICT be used to boost the quality and relevance of education, including through the use of open and digital educational resources and pedagogies? These are some of the areas being explored by the working group on digital skills and competences. The first eight months of the working group have seen three plenary meetings in Brussels and a two peer learning activities in Hamburg and Helsinki. The kick-off meeting in February gave the group a chance to get to know each other and to discuss priorities and expectations for the coming 2.5 years. Digital skills gaps and the link to education planning and curriculum planning. Teacher training for digital education. The role of computational thinking/skills and coding. 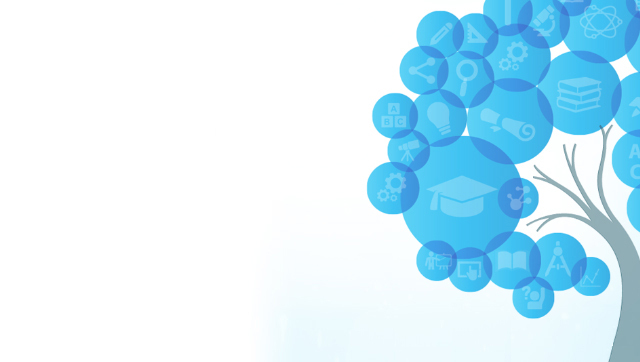 Learning Analytics and data in education. The second meeting in Brussels in April looked at the topic of inclusion and ICT. The group also visited the MAKs centre which trains young disadvantaged people in digital skills. Teenagers are trained to run holidays camps for younger children in coding and to help older people with basic digital skills. The centre also runs a small graphic design agency where young people can get hands-on training for real-life clients. The German members invited the group to visit Hamburg where a two-year, large-scale pilot project has been running on Bring Your Own Device in secondary schools. 25 members of the group spent two days there in July meeting school leaders, visiting classes and sharing good practice from a number of countries (Cyprus, Belgium, Luxemburg and Austria). They also heard from European Schoolnet who have produced guidelines for schools leaders on BYOD. Key messages were drafted by the group following the visit. For more details see a blog post on the visit. A second peer learning activity in Helsinki looked at the role of computational thinking and coding on the curriculum. It included case studies from the host country Finland as well as Poland and Estonia. The group also visited schools and heard about how new teachers are being trained to integrate ICT into the curriculum. Key findings and messages were produced following this 2-day visit. The plenary meeting in Brussels in October looked at the topic of learning analytics which is an emerging field for education policy makers. Professor Dragan Gasevic from the University of Edinburgh introduced the topic and a number of case studies and Erasmus+ projects were presented where data is being used to improve learning. As well as the meetings, the working group is working with the Commission's Joint Research Centre in Seville on a number of outputs including frameworks and self-assessment tools to support people and organisations in assessing their digital skills and readiness. promoting intercultural dialogue through learning. The Working Group will exchange on these four pillars through a programme of Working Group meetings and Peer Learning Activities (PLAs) focusing on specific themes and good practices, with the aim of developing over time a policy framework including key messages for each thematic area, as well as an online compendium of good practice. These will serve as an inspiration for the draft Council Recommendation referred to in the Communication on supporting the prevention of radicalisation leading to violent extremism. The first six months of the work programme have been dedicated to the theme of critical thinking and media literacy, including a PLA in The Hague. The conclusions from the PLA fed directly into the Council conclusions on developing media literacy and critical thinking through education and training adopted on 30 May 2016 and now online. At the PLA which took place in The Hague in April 2016, a major French initiative was presented which brings together schools and media organisations: the Press and Media Week at School (Semaine de la presse et des médias dans l’école). This annual event, which has run successfully for the past 27 years, was particularly relevant to the theme of the PLA as it aims to help young people of all ages to understand how the media works and develop their critical assessment of information presented in the media. Media organisations prepare special newspapers, magazines and audiovisual materials which are sent to schools with a range of teaching materials - developed by the specialised Centre for Liaison between Education and Media (CLEMI) of the Ministry for Education - that teachers can use for special classes, exhibitions and events. Media professionals are invited to present at events in schools and pupils have the opportunity to visit media organisations. In light of the terrorist attacks in France in 2015, the overarching theme selected for both 2015 and 2016 was “Learning for freedom of expression” (“La liberté d'expression, ça s'apprend”). The second pillar of the Paris Declaration to be addressed by the Working Group is the promotion of social and civic competences. A PLA took place in Vienna on 27-28 October 2016 entitled “Policies to promote civic and social competences: From the Paris Declaration to global citizenship” and bringing together participants from 15 EU countries. The PLA, which was opened by a speech from Sonja Hammerschmid, Austrian Minister for Education, featured presentations from the UNHCR (UN Refugee Agency) and FRA (the European Union Agency for Fundamental Rights), as well as a range of good practice presentations and field visits to Austrian and international organisations implementing policies and initiatives to foster the development of social and civic competences. The Working Group meeting in Brussels on 17-18 November 2016 continued the work on this pillar, including a preliminary working session on expert input into the review of the key competences recommendation relating to social and civic competences. To support the Action Plan on the integration of third country nationals, DG EAC organised two ad hoc peer learning activities. The Peer Learning Activity (PLA) on ”Reception of Newly Arrived Immigrants, and assessment of previous schooling” took place on the 5-7 April 2016 in Stockholm. It was the first in a proposed series of round-tables on how to integrate newly arrived migrant children into European education systems. The PLA primary focus was on the pros and cons of the organization of 'introductory classes' for recently arrived migrant school children or structured support for newly arrived migrant children in regular classes. The report is published on the European Commission website "Education and Migrants". The Peer Learning Activity (PLA) on “Language assessment and integration of unaccompanied minors through education” took place in Dresden (Germany) between May 31 and June 2, 2016. The discussion focused on the opportunities and advantages of observation-based language assessment and the benefits of a universal approach to language teaching. Cooperation between different stakeholders was discussed in depth regarding the reception of unaccompanied minors. The report on the key messages and conclusions will be soon published on the "Education and migrants" website. Peer counselling is an instrument which brings together professional peers from a small number of national administrations to provide external advice to a country in the process of a policy development. It is intended to go beyond information-sharing and provide a forum for collectively brainstorming solutions to specific national challenges in a participatory workshop format. Peer counselling was introduced into the ET 2020 toolbox in the 2015 Joint Report. It is an excellent way of disseminating Working Group outputs and tailoring some of the topics covered in the ET 2020 Working Groups and PLAs to the context of a particular country. In practice, peer counselling works on request by a member state and has to have national ownership. The role of the Commission is to finance the running costs and provide organisational support in engaging peers and writing a report. In the shorter version, it is a 1-2 day event and in the longer version, a series of short country visits across one year. The two pilot events that took place in 2015 in the Czech Republic on performance-based funding of higher education and Sweden on the school reform demonstrated that peers not only counsel the host country but also learn a lot from each other. On 18-19 October, a peer counselling workshop took place in Bucharest, at the request of the Romanian Ministry of Education. It explored the topic of teacher training for children with special educational needs (SEN) in mainstream education. Presentations were given by international experts coming from 6 member states (Belgium nl, Czechia, France, Germany, Latvia and Slovenia). The workshop was structured around four topics: legislation, teachers' training, educational resources and changing attitudes. Discussions started from an evaluation of the current situation and concluded with potential avenues for action. The Romanian Ministry of Education expressed its intention to closely analyse the proposals made and to initiate work on designing a dedicated module for children with special educational needs. This module is to be integrated in the compulsory initial teacher training education.